Guadalupe Oak Grove Park is in Almaden Valley between the Villas of Almaden, the Jeffrey Fontana Park, and the Campton Chase. It is about 64 acres of undeveloped hillsides, oak savanna, and oak woodland laced with hiking/walking trails. When the park first opened it was classified as a regional park, and, due to budget cutbacks, was changed to neighborhood park status and transferred to Parks, Recreation & Neighborhood Services (PRNS). When opened in 1987, the park, being an open savannah, was characteristically open–one could see through the park. The openness of the park encouraged the growth of grasses, flowers, and new oak seedlings. As time marches on, the openness of the park is being lost–the park is evolving into an oak woodland. One cannot now see through the park which raises safety issues. Wildflowers that were abundant in the park are now scarce. Soon, a partnership between the City and the Santa Clara County Open Space Authority will jointly serve the needs of the park. The purpose of this survey is to solicit your opinion as to the future direction for the GOGP with the main issue, to preserve the park as an open Valley and Oak Savannah or to let it naturally evolve and integrate with plants and trees within the surrounding urban landscape. It is important to understand the issue of the park’s future. To help you understand the issue, several walk-throughs with a docent are scheduled. These walk-throughs will commence near the park’s restroom, and are expected to take about an hour or more depending upon the depth of questions and discussions. It is recommended that you participate in one of the walk-throughs and/or read the document accessible by clicking on the link titled ‘An overview of the park’ below. There are also several other documents available that provide additional background information for the interested person. The management of the Guadalupe Oak Grove Neighborhood Park is currently under the stewardship of PRNS, as are the two parks, T.J.Martin and J. Fontana. The City recently partnered with the Santa Clara County Open Space Authority (SCCOSA) to jointly maintain/manage the Alum Rock Park on the east-side of San Jose. Because the GOGP is a remnant of the county untouched by development, discussions will soon take place to consider joint stewardship of GOGP by the City and SCCOSA. Users of the GOGP know the park to be a unique island of old Oaks and chaparral, a natural oak island surrounded by urban development. Because of this, there are two options regarding park management. One option is to preserve the Park as it is, a Valley and Blue Oak savannah in a sea of grassland. The second option is to let the park naturally transition to an oak woodland, as influenced by the surrounding urban landscape. There is no right or wrong answer; however, the decision will guide the maintenance and stewardship plan to be implemented by the City and the SCCOSA. The walking trails and the current uses of the park will be retained as is. After gaining an understanding of the issue in play, please participate in the *SURVEY*. The cut-off date for the survey is midnight on December 31st, 2014. Your participation is very much appreciated. 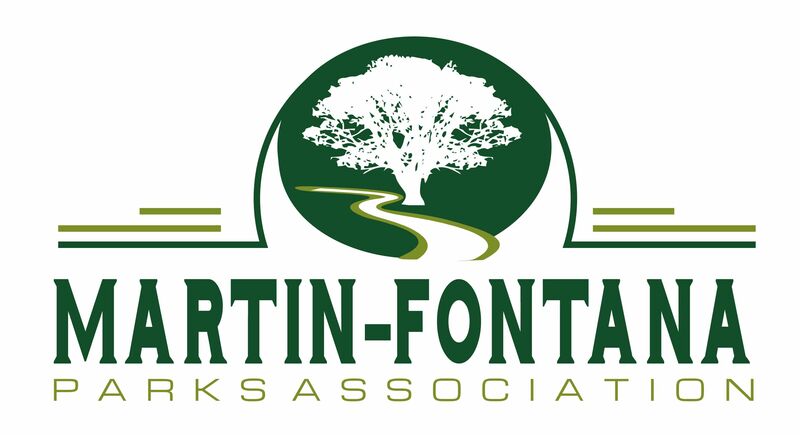 Note: This activity is being conducted by park volunteers with the backing of the Martin-Fontana Parks Association. The results of the survey will be presented to Council District 10 prior to the opening of discussion between the SCCOSA and the City of San Jose. Organizers of this effort include Organizers of this effort include Patrick P. Pizzo (SCV-CNPS affiliation, MFPA), Dave Poeschel (Sierra Club affiliation, MFPA), and Lee Pauser (Santa Clara Valley Audubon Society affiliation, Friends of the Almaden Meadows Park). The park for years has been a wonderful place to walk and feel one with nature. Besides a clean-up on a regular basis the park should be left alone and let nature take its course. One benefit of the involvement of the SCCOSA may be routine visit by a park ranger, at least on some schedule. i regularly walk here and the place is kept clean of garbage and debris by those that use the park. The park ranger or it may be a city worker, opens the gates at 7am and comes back to lock up at the end of the day. I’m not sure what changes are being proposed in the name of safety. Perhaps cutting lower level branches so no one can “hide” ? Some of the trails need to be maintained once in awhile. I like the way nature has been left alone here to change without the mighty of hand of mankind intervening. I enjoy walking this park because its close by and its hilly. I looked at the paper “Overview of the Park” and saw the pictures showing the oak woodland and the invasive grasses that would prevail if the park was left to nature taking its course. I would prefer the native grasses and the open savannah shown in the pictures taken in 2001. The new oaks just add ugly clutter. How would change affect the deer? There used to be a handrail along the wood-rail steps leading up to the quarry area on the west periphery of the park. Scouts put the handrail in; and vandalism and/or degradation took it out. Might do well to consider an appropriate hand-rail for park users at that location. The Ground Squirrels and harsh weather tend to ‘push’ gravel and rocks onto Thorntree, especially where the park-level is higher than the roadway. A low-retaining wall (near the park entrance) keeps debris from spilling onto the roadway. How about extending that to the south, along Thorntree? Guadalupe Oaks was selected as one of the last remaining natural places in Santa Clara Valley to be cherished, honored and saved for our enjoyment and that of future generations. For this reason I feel that it should be left as natural as possible for not only humans but for the many species of birds and mammals (ground squirrels and gophers included )for that is what makes it natural. Unless a fallen tree hinders our path to enjoy this area it should be left alone as it gives food and shelter to the wild species. There is something about humans, we cannot leave a natural place alone, we always have to manicure it or build something on it. We have the Martin-Fontana area which is designed by and for humans, I for one hope we will leave the Guadalupe Oaks area alone, it does not need more of our mark on it. We should encourage its wild natural state. Is this a regular stop for Monarch butterflies? Hi: I have seen Monarchs at Guadalupe on both migrations also Painted Ladies. Not a ton of Monarchs its not a stop for them to cluster on a regular basis but they do use it. The new oaks are just a part of the natural transition, they in my opinion should be allowed to grow as they will take the place of the older oaks when they fall, and they will someday just as we all will fall. Time runs out for all things, flora, fauna, human and the wildlfie. Hope you all had a great Thanksgiving. Not a stop, where they gather their strength and prepare for the next cycle of life. Their ‘rest-stops’ are along the coast, usually, or near the bay where the presence of a major body of water and other factors reduce the risk of frost. Their viability is temperature sensitive. However, in the spring, they look for narrow-leaf milkweed, a CA native plant, to lay their eggs. There used to be large amounts of CA milkweed to support monarch habitat; but agricultural practices and ‘improved’ chemicals for weed and pest control have greatly reduced this habitat. That was one inspiration for Dave Poeschel to create the Butterfly Garden in J. Fontana Middle Park, just east of the GOGP. Too, another CNP person is considering introducing plugs of narrow-leaf milkweed in the undeveloped area of T.J. Martin Park, between the formal turf and Coleman Ave. These are attempts to increase Habitat for the monarch butterflies in the Spring. There were many CA native plants in the GOGP in prior years; but increasing stands of European grasses and weeds, minus the grazing that occurred when horses were kept in this area prior the park-founding, have led to decreasing native plants and wildflowers. Maybe one area that should be given thought for the GOGP is to remove, for example, the wild radish and black mustard stands and replace with narrow-leaf milkweed? You certainly are more a knowledgeable butterfly person than I and you have brought up some very good points. Agreed, as I had mentioned previously it is not a real “stop” for the Monarchs, they use the area just like they use some of our own backyards. Other pollinators as everyone knows are also in trouble mainly due to our use of insecticides etc. I know in my yard the mustard is used by a variety of bees. I hope that removing the wild mustard will not cause them further problems. The wild radish I use in salads, I have never seen a pollinator using it but I am sure some insect does. As there is now an established butterfly garden (thank you Dave) and another is planning on planting milkweed plugs, perhaps we should wait and see how all this plays out. I would hate taking food from the mouth of one pollinator by planting for another. Bees might not be a pretty and fanciful as butterflys but they really are much more important to us and the planet as a whole. Enjoy the rain but stay warm and dry.